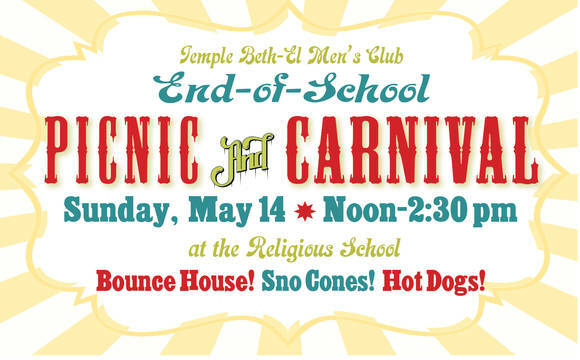 Sunday May 14 - Final Day of Religious School and Picnic! Come and meet the Iraqi family Beth-El is helping to resettle in Richmond. The Safar family will be our guests at the Closing Program and picnic. will open on Monday, May 15th. Tzedakah Report - We have collected close to $800!! celebration for best tzedekah collection.